The things that large cities always have in common is that they hold very diverse group of people, involving cultures, races, ethnicities and social status. Some of the largest cities in the world when it comes to area are London, New York City and Tokyo. But London and New York City are neither as densely populated as some of the cities in Asia which heavily feature in our top 10 list of the largest cities in the world by population. Usually the metrics count not only the population of the city but also the entire metropolitan area surrounding the city boundaries like neighboring towns and villages. We are going to look at some of the largest metropolitan in the world. The New York City with the metropolitan area of Manhattan, Bronx, Staten Island, Brooklyn and Queens is just over 8 million. 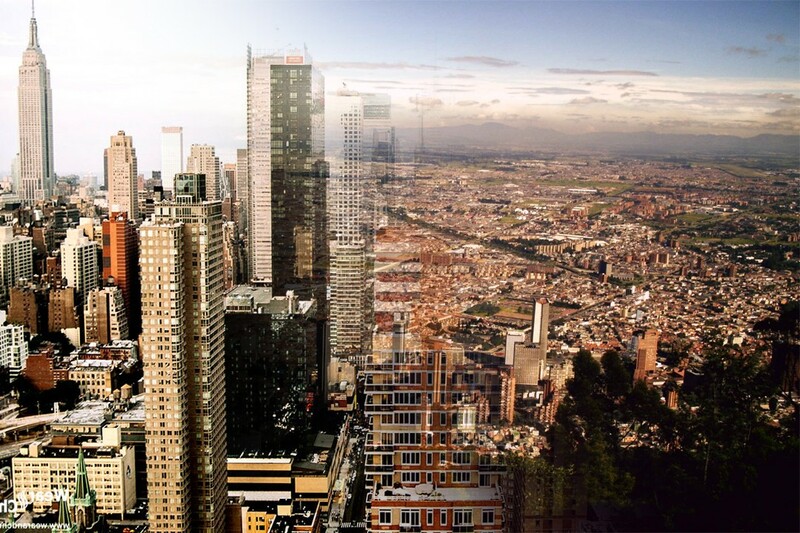 However, the country of New York-Newark acts a similar metropolitan area whereas the rest of the New York has a scattered population of 1.7 million people. Cairo is the largest city in Egypt and the metropolitan area that comprises of Cairo has over 19.13 million people which is the 21% of the total population of the country. Cairo is a developed city with an urban population core of 7.7 million while the rest of the population extends from the city along with the surrounding suburbs. Osaka is part of the Kansai region in Japan. Osaka is a capital city which also comes in a prefecture named Osaka, much like Tokyo. It is the second largest metropolitan area in Japan and one of the largest cities in the world with a total population of 20.34 million according to the latest census. 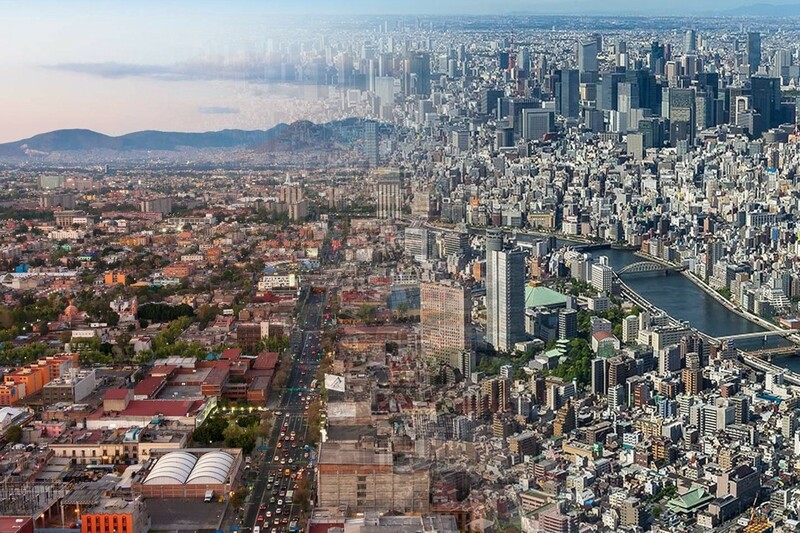 When combined Osaka and Tokyo have a population of over 58 million which is roughly 45% of the total Japanese population. Mexico City is the largest city in Mexico and the capital of Mexico as well. The total urban area of the Mexico City is called the Greater Mexico City, aka Metropolitan Area of the Valley of Mexico. The total population of this singular metropolitan area is often estimated around 25 million but the official census marks it as the seventh largest city in the world according to the United Nations Data Booklet with 21.16 million people. Beijing is often touted to be the World’s third largest and China’s second largest city but the former claim is often under dispute. However, other cities like Mumbai, Delhi and Sao Paulo have usurped it in population terms because of the expansion of urban areas in these cities as well as larger birth rate. Beijing still has a large population and it is a part of the China’s national capital region with a population of 21.24 million. 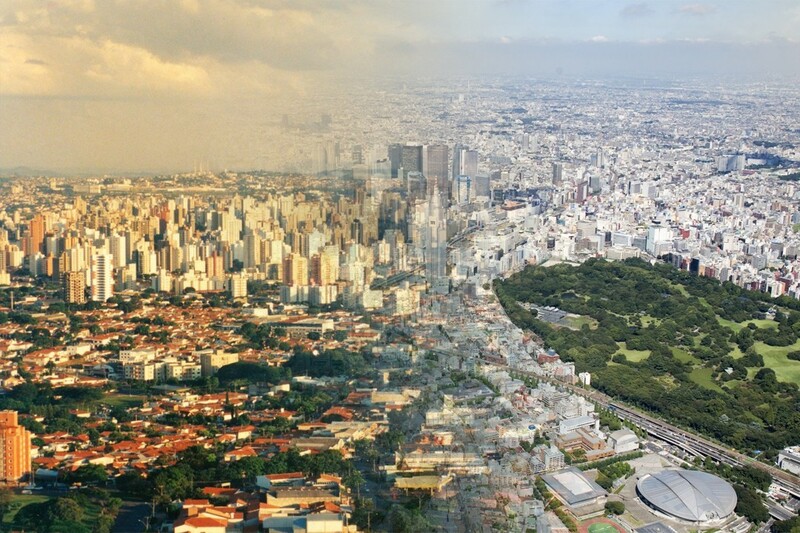 Sao Paulo is actually a municipality and it has a total population of around 21.3 million. The metropolis within the city’s confines has 12 million people and it is listed as an alpha global city. Sao Paulo is not only the 9th entry in our list but also the most populous city in the entire Western as well as Southern hemisphere. Mumbai was speculated to become the most populous city in the world some ten years ago. Now, it is not even the most populous in India with the expansion of Delhi’s city. 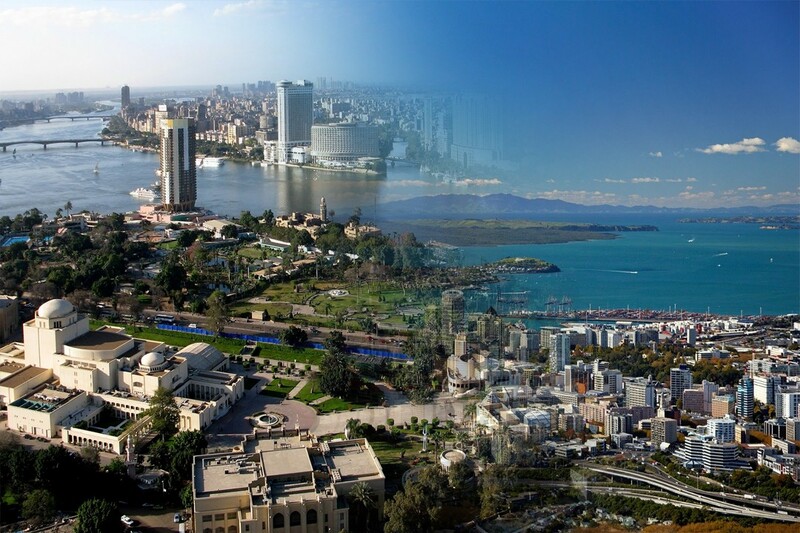 It is still, nonetheless, one of the most populous urban regions in the world and named an alpha world city. Shanghai is actually referred to as the most populous city proper as the top two cities in the list also count the population of the surrounding urban areas as they are included in their city administration. Located near the famous Yangtze River, Shanghai is a transport hub as well as a global financial centre. The population of Delhi proper might be around 12 million but after Delhi officially became the National Capital Territory of Delhi, it became prudent that the population of the city would be counted as the entirety of NCT area; which now has a population of 26.5 million. Tokyo’s city proper has population of around 13.7 million which makes that particular area the most densely populated in the world. However, the Tokyo city administrative area is also the size of a prefecture where the entire population is 38.1 under a single administration. 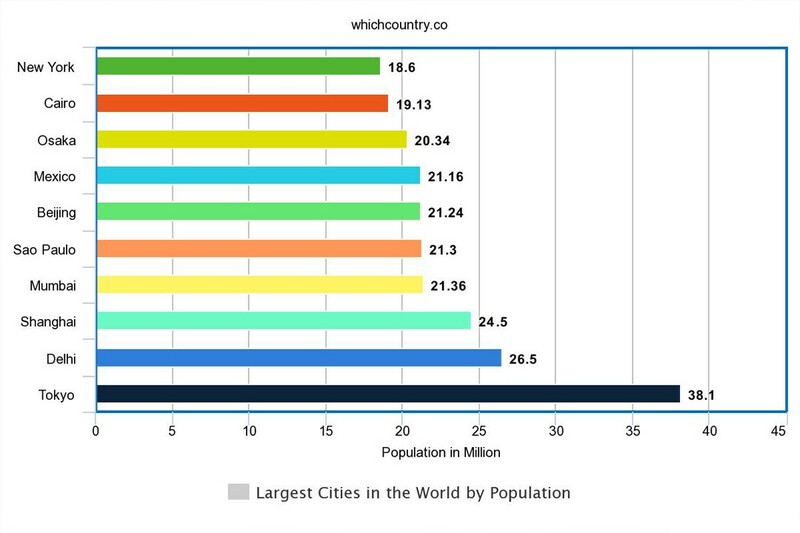 That is why Tokyo is still referred to as the largest city in the world by population.